It had been a quiet summer for ardent American Downton Abbey fans, many engaged in Downton Downtime activities like planning vacations to London to visit High Clere castle where Downton Abbey is filmed, taking in Diamond Jubilee celebrations, or the Summer Olympics. Others have stayed close to home, taking their favorite Downton period books* to the beach, and introducing new fans to Downton through DVDs and/or Netflix. As for me, I am writing a Downton-inspired e-cookbook, planned for release in December. I hope to provide inspiration for fans of all cooking ability who want to take a Downton twist on casual or formal gatherings. But in the meantime, here are some great recipe and entertaining ideas. Come back regularly as I update links to this page. I have already posted over 100 recipes for foods which would have been served upstairs and down at Downton Abbey and other great English country houses from the Edwardian era through to the early 1920s. At the end of Season 2, I gave an interview with an LA radio station looking for some advice on what to serve at a Downton Abbey finale party. Here is the posted interview, part of the fun Weekend Alibi segment of what to do this weekend in California, if you know what a weekend is, that is. 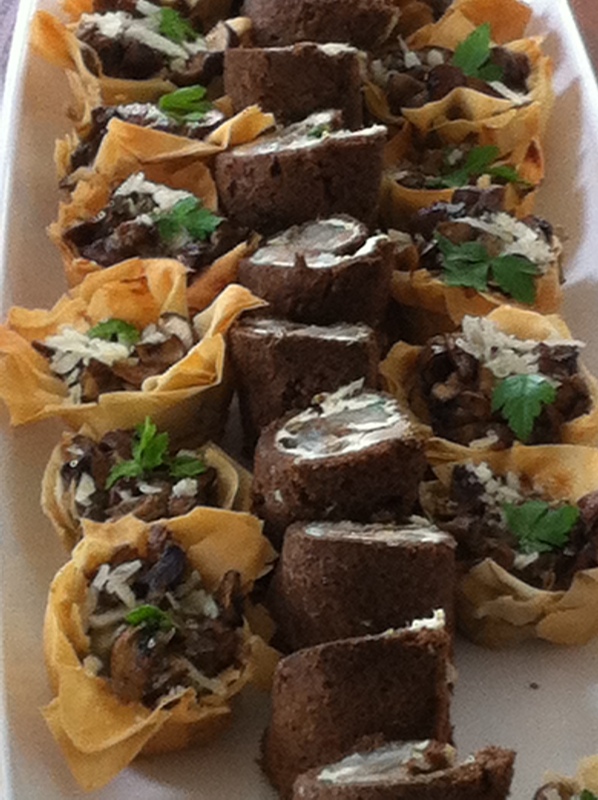 Below is a sample of what you could serve at your Downton themed event. Many of these and other recipes will be featured in my ecookbook called Downton Abbey Cooks Entertain, to help you celebrate entertaining the Downton way. Note: you will have to scroll down to the bottom of each post to get to the actual recipe. I do like to write about food history or what has been happening on the show before we eat. Many of our favorite characters live downstairs, so you may wish to invite family and friends over for a dinner of simple, hearty dishes which helped fuel our favorite downstairs team for their long 12+ hour days serving the needs of the Crawley family and the sprawling estate. 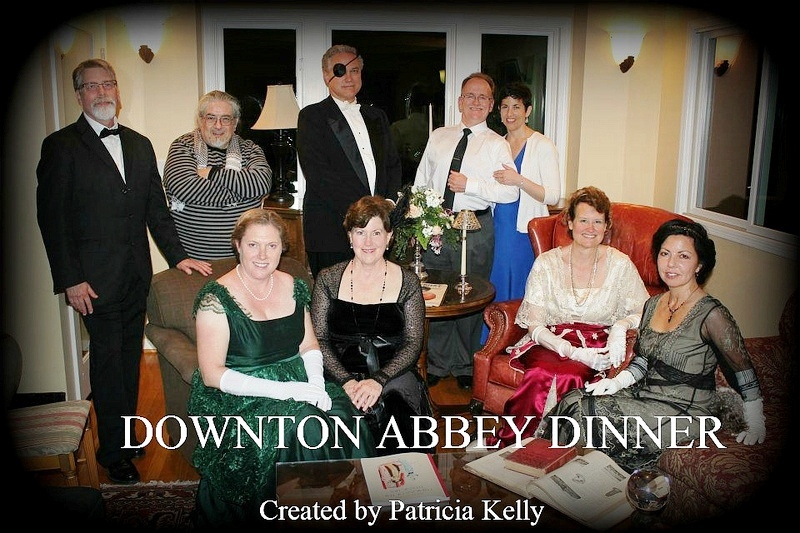 Downton Abbey launched with the sinking of Titanic and the For ambitious cooks or group of foodie friends who really want to put on a show, you may wish to invite an intimate group of friends for a formal dining experience to savour the upstairs experience. Earlier this year I did a great series, cooking my way through the last meals on Titanic. You can pick and choose items from the 1st and 2nd class menus to create your own tribute in as many courses as you can muster. You don’t have to be an experienced chef, just passion and lots of help. Pat Kelly, a follower, provided her account on how she pulled off her dinner earlier this year, describing how to staff, using a caterer, and setting a fabulous table. Susan Edwards was the other co-winner who set a fabulous outdoor Titanic tribute feast. If you aren’t prepared to do a great deal of cooking but still want to bring a little bit of Downton to your own viewing party, why not try making one memorable item from the show to share with fellow fans. Apple Charlotte: the dish that Sir Anthony Strallon wanted Mrs. Patmore to prepare. Roast Chicken: the cat got one famous chicken, yours doesn’t have to end up on the floor. Crêpe Suzette: Enjoyed by the Crawleys and Isis, the dog in S2. Plum Pudding: which the Dowager had the honor of lighting in the Christmas Episode. 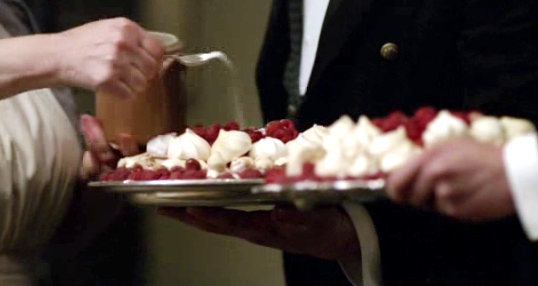 Raspberry Meringue Pudding; from S1, the dish that Mrs. Patmore topped with salt instead of sugar. Turkish Delight: in memory of poor Mr. Pamuk. With over 100 recipes on my blog, just search for your own combinations of dishes to suit the particular tastes of your own Lords and Ladies. King Edward VII introduced fine French Cuisine to England, and aristocracy enjoyed wonderful food influences from around the British Empire, so enjoy the culinary journey. Many savoury dishes served at Afternoon Tea (check out my Online Guide) are perfect for upscale entertaining. This list will grow over the coming weeks. See below for beverage suggestions. Alcoholic: while you may wish to serve cocktails, creating clever names for the characters, they were not served at Downton. You may recall that Mary warned Sir Richard: “I could ask Carson to make one for you, but I can’t guarantee the result.” So consider wines, spirits and liquors for your guests. Champagne or sparkling wines would be a great celebratory drink to toast each of the 16 categories. Wine: a great choice. More details in the coming weeks. Pimm’s: a popular drink in the UK (derived from gin), but might more suitable for the summer. If you do live in the lower states it might be suitable as thirst quencher. Check out my Pimm’s Punch recipe, my favorite. 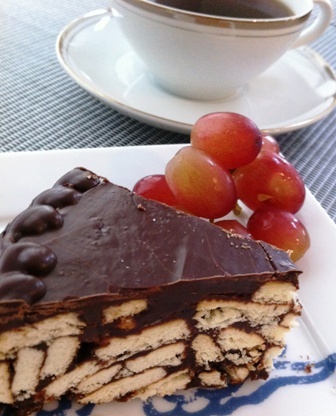 If dessert and coffee is more your cup of tea, you could serve traditional English dessert and tea favorites. I have also included a few recipes fancied by the Royal Family. 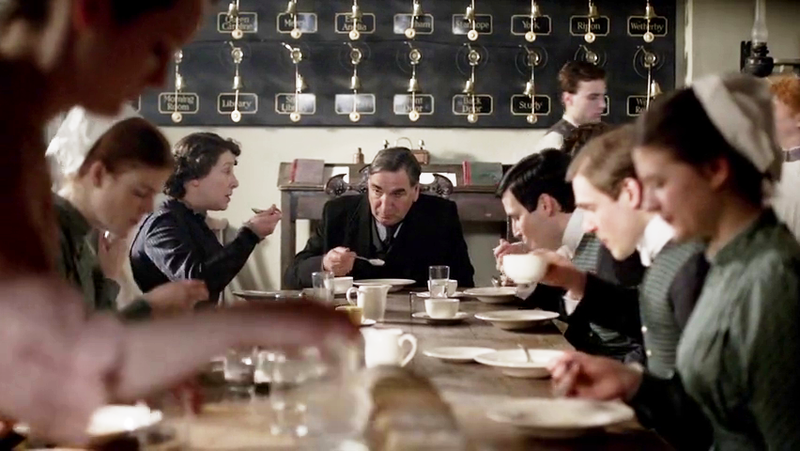 New: The Chronicles of Downton Abbey: A New Era with great new pics of S3. Can you recommend any Downton Abbey period books? Welcome back, Pam. Entertaining these days is trying to keep the heat out of the house, so I try not to turn the oven on. Glad to hear your cookbook is coming along. Oh Pamela, I am so pleased that you are back!!! You were missed. The menus look fabulous and I WILL be sampling a few!!! AND new period reading? Yes, indeed!! !